Salads are great, but often fleeting. All too often the wolf is at your door again just an hour after you enjoyed those those bright, crisp forkfuls of buttery lettuce and bracing vinaigrette. You’re hungry and yeah, it’s only 1:30 in the afternoon. Enter the salad with staying power. 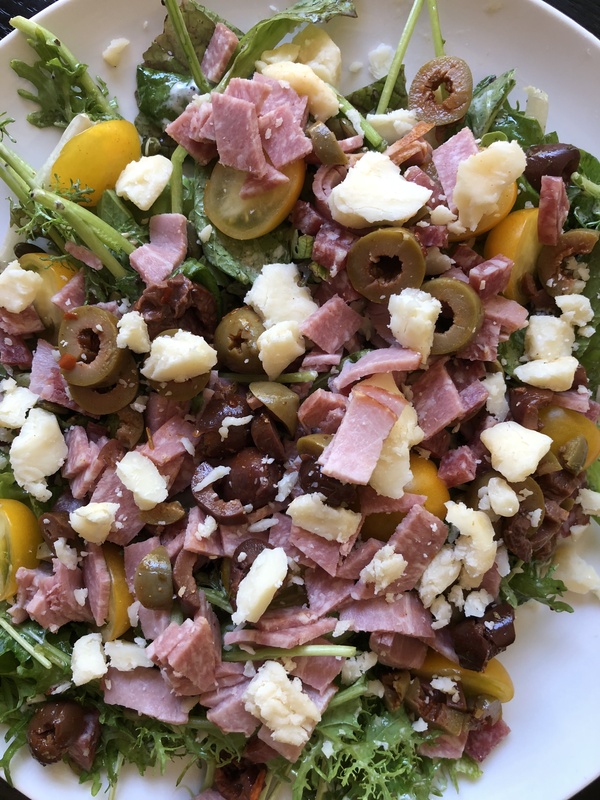 Fortified with chopped bologna and ham from Sullivan Farms, crunchy aged cheddar from Milton Creamery, lettuce and cherry tomatoes from Happy Hollow and olives from the back of the fridge, this one will hold you over to dinner time. 2 big handfuls mixed lettuces, greens, arugula, etc. Toss greens with vinaigrette and plate. Top with remaining ingredients and serve.